In a medium pot melt the butter. Add roughly chopped onion and sauté for 3 – 4 minutes. Meanwhile wash and roughly cut broccoli and celery. Use all parts of broccoli including the stems. Throw the broccoli stems and celery in the pot. Pour in 1 liter of vegetable stock / water. Season with salt. Bring to the boil, reduce the heat to low-medium, cover with lid and simmer for 10 minutes. Now add the green parts – florets to the pot and simmer for a further 10 minutes or until the broccoli has soften. Turn off the heat and puree it until smooth using a hand blender. Taste and season with black pepper and some more salt if required. Serve in a bowl garnished with a handful of croutons (optional). TIP: If using water, add vegetable stock cube for extra flavor. 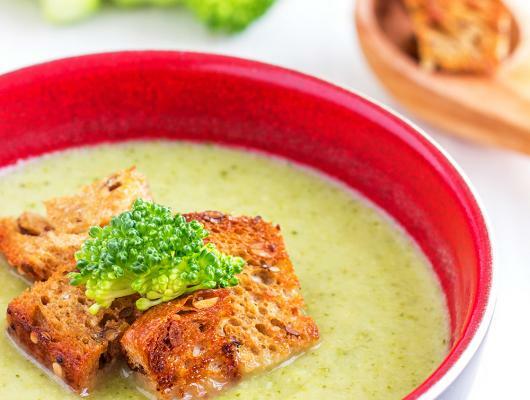 Make this creamy, hearty and vitamin packed broccoli & celery soup that will help you stay healthy! We all know that a bowl of warm soup can do wonders! It boosts your energy, warms up your body and supplies it with nutrients! 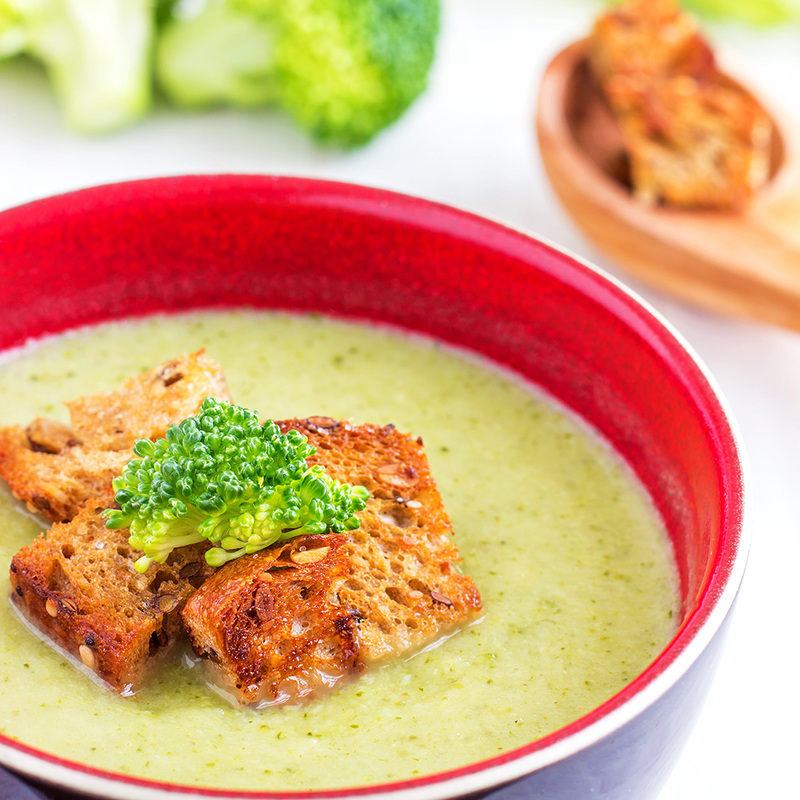 This soup is also perfect for those who plan to detoxify their body!